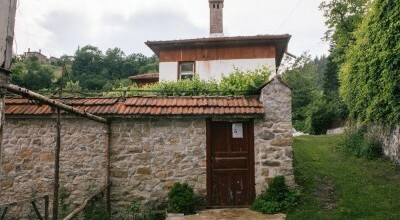 Village House Accommodation Now Available!! Something went wrong. If this error persists, please contact support. 1 bathroom, sleeps 12. Available to group bookings only. The four person bell tents (4m in diameter) are equipped with two double beds, pillows, duvets and a rug. These tents have stunning views over the village, and in the morning are nestled above the clouds. There are also eco-toilets located in the field. 1 Bathroom, Sleeps 6. Only available to group bookings. 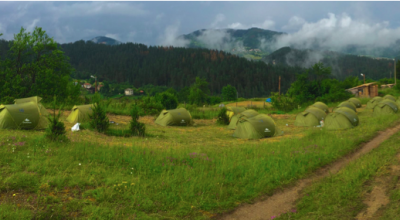 The 2 person tents are set within a flower filled meadow on the north side of the mountain just 150m from the festival site. They come equipped with 2 single mattress, pillows and sleeping bags with eco-toilets located in the field. No accommodation matches the filtering options you selected.